I am connected back up to the internets. After bashing my head against the wall a few times I eventually caved and called an expert to come and fix the problem FOR me. Poor tech dude was here for nearly two hours and I think I caught him banging his head against the desk once too! Everything was figured out in the end though and everything works beautifully! I'm usually very stubborn about trying to figure these types of things out on my own, but this is one case where I'm SO GLAD to have been able to throw money at somebody else to fix the problem for me. My Christmas present finally arrived! But before I show her to you, there's somebody else I'd like you to meet. This is "Baby" (as in my baby!) 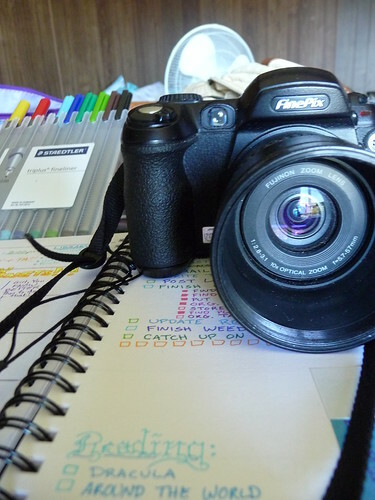 This is my Fuji Finepix S5000. This is the beauty that's been giving you all the beautiful photos I've shared over the past several years. He must be at least four years old now and has travelled with me all over the world; to China, to Italy, all over the States and here in Australia too. My baby is such a trooper as I am NOT gentle with my electronics (I can't tell you how many times I've dropped this guy.. or accidentally kicked it... or submerged in water.. or.. well you get the idea!) and it's still going (reasonably) well. His focus is going, his low-light setting is completely gone and it takes him longer and longer to "warm up" when I turn him on. He's also a bit chunky, and a bit heavy. When I'm wandering around with this guy I seriously feel like the tourist I (usually) am. Now meet the new kid on the block! 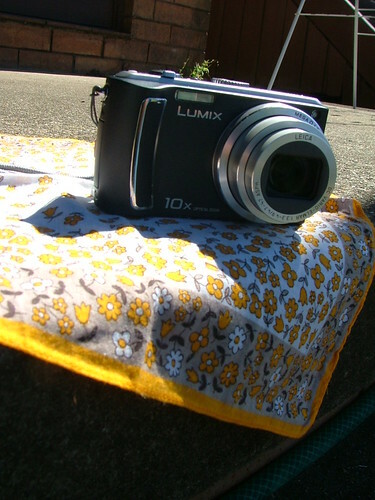 This is my brand new Panasonic Lumix TZ11. She's light, she's fast, she's small, she takes a gorgeous photo or two! She's got fantastic image stabilization as I can get quite a shaky hand sometimes (something Baby could never handle) and a wide variety of settings I can play around with! She's got a wide-angled lens and a big zoom and all sorts of other goodies. She's definitely going to take some time getting used to though, she's got a HUGE LCD screen that's just begging to get all scratched up; I'll have to make some kind of protective case for her. So here's to a new generation of beautiful pictures!